I have always been incredibly close with my parents, so what they think of the person I’m dating is so important to me and can really impact the way that I feel about my significant other. One of the men that I dated never showed an interest in my parents as people, and I noticed that my parents wouldn’t talk to him unless they had to. When I asked my mom if she liked him, she took an awfully long time to answer and said “He’s fine … I guess.” After that, I knew that we didn’t have a future together. When the situation is reversed, I feel the importance of the big meeting all the more. I fully understand that the impression I make on their parents cannot only impact the way that they feel about me, but potentially how he feels about me. Cue the dry mouth, body sweats, and me frantically plumbing through the recesses of my mind about how one makes a good impression! 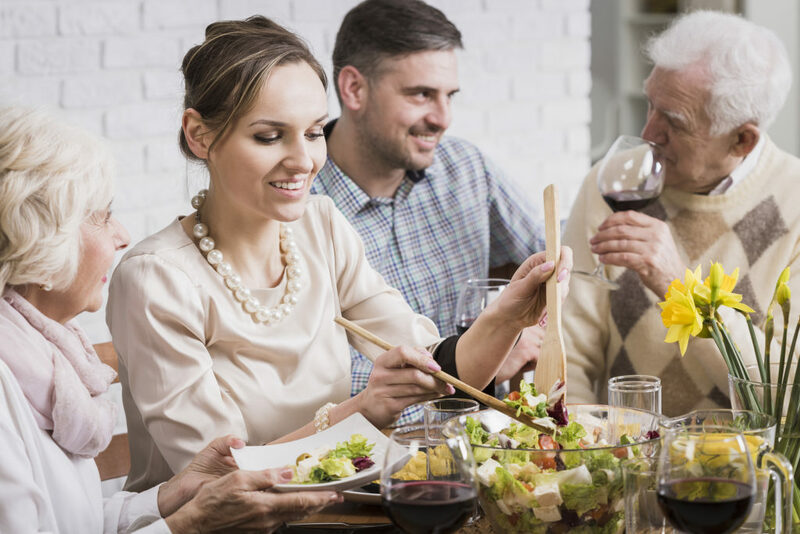 I don’t want anyone else to go through this same stress cycle – so I have a few tips to help alleviate that anxiety and ensure you will make the best impression on your significant other’s parents, and (hopefully) have a fun time doing it! It’s been a hot minute since I’ve been in school, but I have nothing against still doing homework when I know it’ll make my life easier in the future. I would highly recommend taking an hour with your significant other and getting as much information about their parents as possible. Find out what they do for a living, where they grew up, what their hobbies are, if they have siblings, where their last vacation was, and if they have a favorite sandwich (this might only be important to me, but I feel like sandwich preference tells you a lot about a person). When you show an interest in your significant other’s parents, it shows your partner that the people who are important to them are important to you! This is a basic “first time you meet someone” move, but it’s always a winner! A bottle of wine or flowers might be the obvious choice, but you can show even more thought by bringing something that you feel is representative of yourself or your neighborhood. I live in Brooklyn, and my neighborhood is full of lovely Italian bakeries that make the most delicious treats. When I met my boyfriend’s parents, I brought a huge bag full of my favorite breads and pastries. They seemed touched that I would go to the trouble of doing that, and I felt like they got to know me and my life a little better through the gift. This is where your homework really comes in handy. With all of the intel you have gathered, take the time to ask them thoughtful questions about themselves. Things like what they enjoy about their work, how their last golf game was, how they make that amazing dish that your significant other loves so much, what it was like for them to grow up where they did, or if they have any photos from their last vacation. Not only will you learn a lot about the people who raised the person you care about, but showing interest in your SO’s parents makes them more likely to warm up to you! Your significant other is probably the apple of their parents’ eyes, and there is nothing that sounds sweeter than hearing something wonderful about the person they raised! Now is a great time to say a few things that you really love about your partner, show them how kind/funny/sweet/smart they are – and maybe share a favorite story. It has the added bonus of making your partner feel like a million bucks, and that is always a good thing! As in every situation, make sure that these compliments are from the heart and are things that you truly adore about your significant other — you never want to come off as disingenuous! I don’t know about you, but my family is challenging. Absolutely AWESOME, but challenging. There are six of us, and that means six strong personalities and very different ideas of what they want to do! That can be made even more complicated when significant others are involved! When we are all working ourselves up into a tizzy trying to figure out where to go to dinner, I always take so much comfort in seeing my brother’s fiancee lean back and let us work it out on our own. What is amazing is that as soon as a decision is reached, she happily and easily goes with whatever we have chosen. Staying cool when your significant other’s family isn’t looking as perfect as they do in their Instagram posts allows for your partner to see that you are there for the good times and the challenging times. Being unfazed by imperfection will alleviate your SO’s stress, and will probably make their parents feel more comfortable too! After your “meet the parents” moment, it’s helpful to have a check-in with your significant other to see how they thought everything went and for you to share your feelings. Taking the time together to reflect on interactions with important people like your family is so helpful. Making those conversations a regular practice after big events like this will make you and your partner closer and your relationship even stronger! 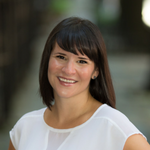 Katie McKenna is a professional speaker and life coach living in Brooklyn. She runs a blog called “Small Bites and Little Victories” and is an expert on the best date spots in New York City. “How to Get Run Over by a Truck” is her first book.